As shown in the picture above, These horse snaffle bits are high-quality horse tack items. 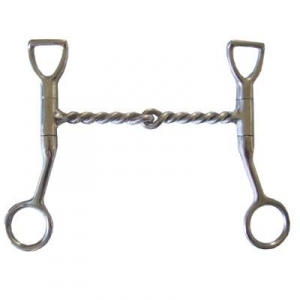 This Tom Thumb Twisted Wire Snaffle Bit that we offer is one of the most popular horse snaffle bits that we have to offer. When buying horse snaffle bits at Horse Tack Now, rest assured you are getting top quality horse accessories at low prices.